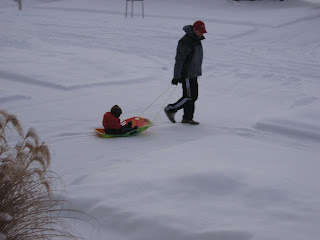 We got 6'' of snow on Sunday. 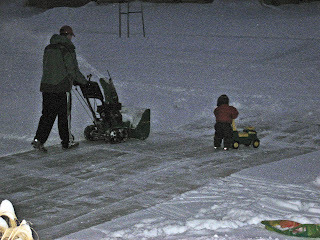 The boys had fun sledding and playing with their Deere's. is your sister moving up to milwaukee? karen told me mark took a job w/ the brewers.